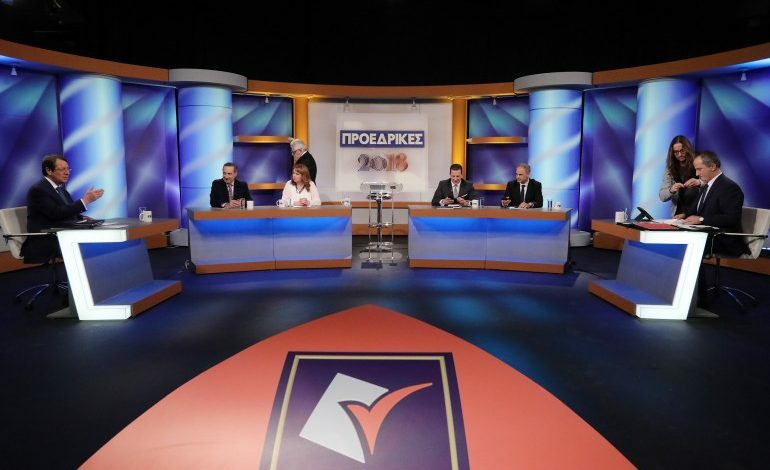 Contenders for the run-off elections for the seventh President of the Republic of Cyprus, incumbent Nicos Anastasiades and Stavros Malas, in a televised debate on Wednesday, unfolded their positions on the Cyprus issue, energy, the economy and health during a energetic debate that was closely followed by social media. Both candidates were asked if they trust Turkey with Malas replying that Turkey is in a very tight situation, “many problems with neighbouring countries. We need to get rid of her from our country”, he remarked. Malas argued that during the last negotiations, “we had an historic opportunity to negotiate the withdrawal of Turkish troops but Mr. Anastasiades did not exploit this opportunity”. He criticised Anastasiades for including in the document he had presented at Crans Montana, the right to the Turkish Cypriots to veto decisions, accusing Anastasiades for dangerous tactics, not fully exploiting the document proposed by the UN Secretary-General and for adopting unsafe concessions. Replying, Anastasiades said he will make public on Thursday the document he had presented on rotating presidency, to make things clear. He said that during the negotiations, Turkey simply presented the intransigence it has maintained in the last 44 years against Cyprus and the six Presidents of the Republic of Cyprus as well as the international community. Anastasiades said that for the first time, Secretary General Antonio Guterres had stated that without a resolution to the security issues there could not be a solution. “”We managed to put this issue on the table for the first time and discuss with Turkey issues of vital significance”. Anastasiades also said he did not accept Turkish Foreign Minister Mevlut Cavusoglu’s proposal for gradual withdrawal of Turkish troops over a period of 15-10 years, adding that he did not consider this a wasted opportunity. “t is completely tasteless to say that I did not take the opportunity….How would we be sure that Turkey would have left? It is known for its inconsistency”, the President said. Malas said he considers the issue of rotating presidency open provided there is no right of veto and that both communities have the ability to create a political cooperation, noting that the solution should be seen in its entirety. He underlined that since he cannot accept a solution that includes the presence of Turkish troops, intervention rights and more and his proposals were not accepted, then they cannot be considered as being on the table. Anastasiades also said that he did not allow the discussion to grant the four fundamental freedoms of the EU to Turkish nationals as part of a special arrangement that will only apply to a reunited Cyprus. Answering questions, Anastasiades said he would never disregard the concerns of Turkish Cypriots, adding for the first time in the negotiations maps were tabled and the EU was involved as well as international economic organisations. He acknowledged the contribution of AKEL in supporting him on the Cyprus issue, adding that what needs to be done now is to mobilize the international community to curb the Turkish intransigence. Malas said “we need to work hard and united to get rid of Turkey, the Turkish settlers to enable us have achieve viable development and give the people hope”. Regarding energy issues, the two candidates clashed on whether progress has been achieved in the last five years. Anastasiades argued that when there is proper planning, results can be achieved. He criticized AKEL for claiming that there is a delay in the creation of an LNG, noting that noting has collapsed and that what needs to be found is someone who will undertake the cost of such an investment which is estimated at billions. On his part, Malas said that the energy planning began during the presidency of Glafcos Clerides and was followed by Tassos Papadopoulos and Demetris Christofias. He criticised the incumbent president’s government for not creating the LNG, adding that it was too busy “tearing up the national oil and gas corporation Kretyk” and removing Charles Ellinas from his position as head of the corporation. Anastasiades said that the government announced the third licensing round on time, noting it was announced when ZOR had positive results. On the economy, Malas argued that unemployment still stands at 11.3% and repeatedly contended the need to legislate minimum wages. Malas further said the GDP is currently at 2009 levels, adding that the share of wages at the time was 56% while today it stands at 42% which means that people have less money in their pockets. Anastasiades replied that when he took over from the AKEL government, unemployment stood at 16% and now it has a declining trend while development stands at 4% and the government has subsidized various programmes for young unemployed people. He also said that young people who left Cyprus are now beginning to repatriate. He also said Non Performing Loans are a danger that needs to be tackled on a continued basis while development should continue. He criticized the former government for driving the economy to the brink of collapse, adding that his government is driving the economy to development while the country’s credibility has been restored. Malas asked Anastasiades what his government did in the field of health with the incumbent president replying the “law for the National Health Plan” which through his initiative and retreating from his own positions”. He thanked the political forces for working together to help advance the issue. In statements during their departure, the two candidates talked about unity the next day of the elections. 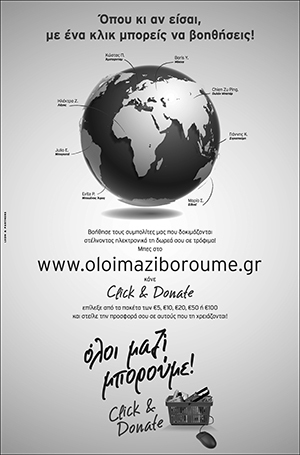 Anastasiades said that what is important the day after the elections is “that we are all united”. He also pledged his readiness to cooperate with all political forces. The President said both had the chance to unfold their positions and allow for a debate which the people witnessed. “I have a feeling that it was a successful attempt”, he added. In his remarks after the debate, Malas promised he will form a government that will unite society and not the ambitions of political personalities. Invited to give his impressions on the debate, Malas said that the people have heard us and have seen us for months and now is their time to judge us and decide. “I appeal to my compatriots, whether they participated or not in last Sunday’s elections, to give a clear reply, just like it was depicted in the first round, that our country needs to become more progressive in handling social and economic issues”, he added.